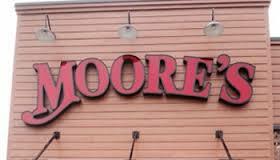 Their slogan ” It’s Moore’s or less. Greenville NC is know for having some great BBQ restaurants, and “Moore’s BBQ” can be listed with the best. Two BBQ restaurant families joined together to create this restaurant. With over 100 years experience between these families, that brought their best to the drawing board. Their barbeque is slow cooked and smoked over real wood daily. They are also know for their fresh fried chicken, cooked to order seafood, and homemade sides. They have a friendly staff and good service. The dining room is clean and decorated with local eastern NC photos. A new store in New Bern is opening soon.